Heat oven to 375°F. Remove dough from can; do not unroll. 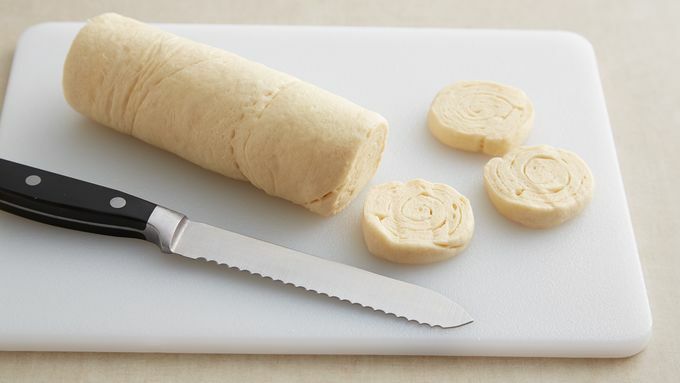 Using serrated knife, cut roll into 20 slices. 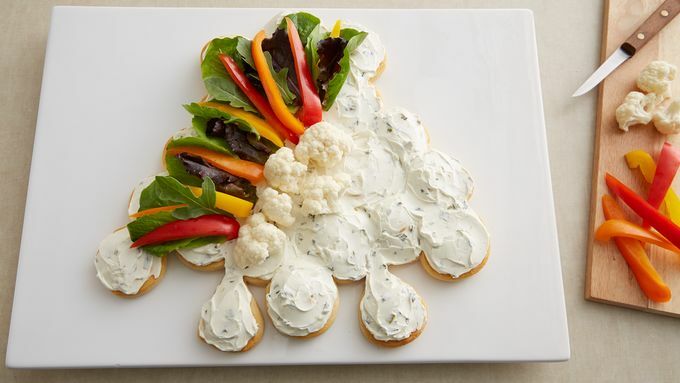 Place slices, cut side down, on ungreased cookie sheet to form turkey as follows: Place 9 slices in half-circle shape. Place 5 slices below that, then another 3, then 1 in center for head of turkey. Place 2 slices to form feet of turkey, about 1 inch from head; squeeze dough to elongate. Bake 10 to 13 minutes or until golden brown. Cool 1 minute; carefully loosen with pancake turner, and slide onto cooling rack to cool. Place on serving platter. 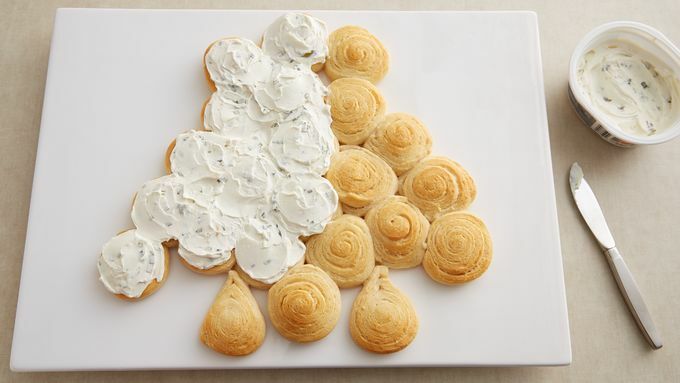 Spread cream cheese spread over turkey. Top with cucumber slice for head, cauliflower florets, salad greens and sliced bell peppers. 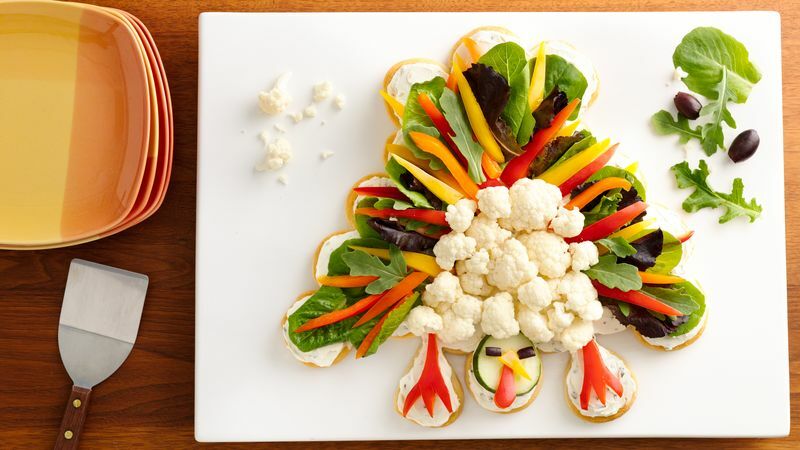 Add olive slices for eyes, cut yellow pepper beak and red pepper wattle for turkey. Cover and refrigerate until serving time. To serve, pull apart or cut into pieces. Try using hummus as an alternative to cream cheese. 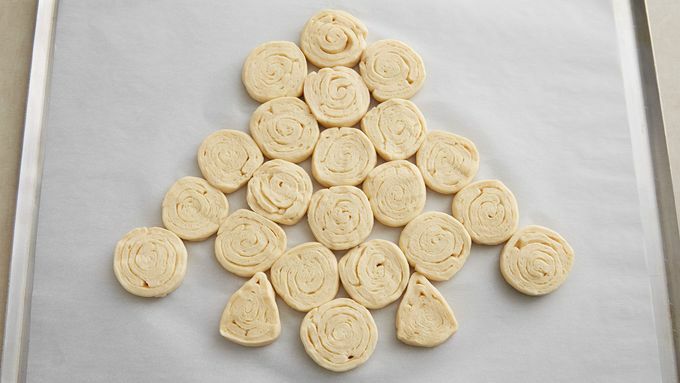 You can bake the crescent rolls up to 4 hours ahead. Top the turkey with toppings up to 2 hours ahead; cover and refrigerate until serving.